As a homeowner, you’re guaranteed to need Passaic County roof repair at some point. When your time comes, you want to know you’re in good hands with a contractor that you trust. Finding the right contractor is not always an easy task unfortunately. There are few general guidelines that you can follow to make this less of a hassle. Take a look at some of the following tips to help you find the perfect contractor for you! The best place to start when looking for roofing work is to ask around! Ask local family or friends if they’ve had any roofing work and what their experience was like. They will personally have nothing to gain from giving you a good review so chances are you can trust it. Any company can pay for a commercial or billboard to talk themselves up. The truth comes from the people that they’ve actually worked with. If you’ve been browsing around for yourself, consider how well the contractor communicates with you. Are they timely with their responses and do they provide all of the relevant and necessary information required? Unfortunately many companies will try and take advantage of average persons lack of knowledge on specialized topics. If you’re asking some questions that they seem to be avoiding answering, this should be a red flag. They may be just hoping for an easy way to get a bit more money out of you. Communication is VITAL. There are certain permits and licenses that are required for contractors to have. Before anyone comes to your home to perform Passaic County roof repair, you need to make sure they have the proper paperwork. On top of that, make sure there is some form of warranty so that you can have peace-of-mind should anything go wrong. Having missing shingles is a sign that you need roof repairs. Missing shingles are most often caused when the shingles were not initially installed right. It is always best to have a professional install your shingles to prevent them from being blown off. A few dislodged pieces of granules are nothing to be concerned about. It is when you are finding many in your gutters that there is probably an issue. The lifespan of your roof will not be as long as it should be as the granules protect your roof from all the weather elements. Especially in New Jersey, it is important to have a high quality roof. When shingles curl, that is an issue because they provide your home with the proper insulation and protection from the elements. When the roof is not insulated right, it causes moisture to build up in the shingles, thus the curling. Buckling shingles also come from excess moisture trapped underneath or if the new layer of shingles was not done properly. Water spots are not just cosmetic issues. Water spots show the beginnings of a leaking roof, which is something that a responsible homeowner should not ignore. This can cause major water damage and leaking in your home later on and will be extremely expensive if ignored. Wood rot is also caused by water, and can have the same devastating results. Additionally, animals are attracted to the rotting wood and use is as an access point into your home. 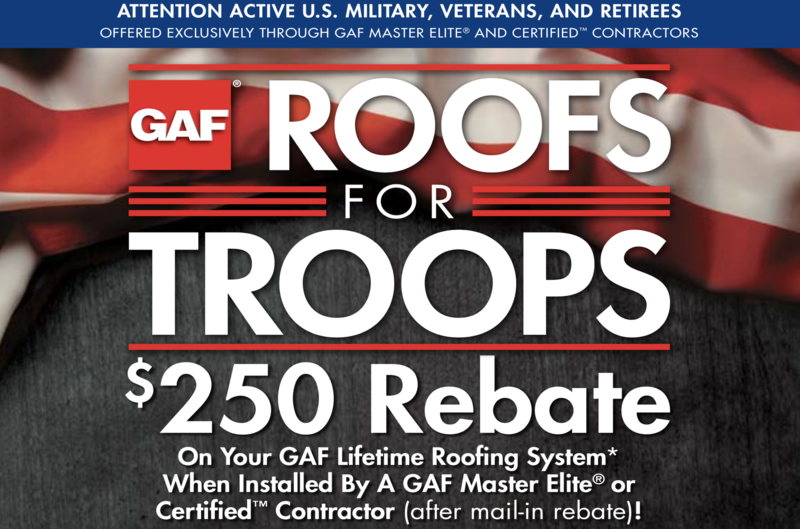 Get your roof repaired as soon as possible to prevent invasion from woodland creatures. When looking for the best roofing repair specialist to keep your home in tip-top shape without breaking the bank, be sure that you are working with a company that holds years of experience in expert roofing. Deegan Roofing, Siding & Gutter Company has been in business for over twenty-five years, for example. Opening their doors as a business in 1989, you can assume that the experience they hold as a company of experts far exceeds that number. (Assuming that you wouldn’t start a business right out of the box, but probably had significant experience before starting!) Experience is important when working with a roofing company, so be sure to ask what experience the company has as a whole, and how long the workers on your job will have been working in roofing. Next, a company that has a long list of home repair services is going to be one that takes into consideration the whole picture of the well-being of your home when making a suggestion for repairs. For example, a company that only specializes in roofs and inexpensive roof repairs may translate to a cheap job in addition to an inexpensive fix to your roof. On the other side of the coin, a company that also specializes in mold mediation, siding, and gutters, just to name a few, will be keeping in mind the whole picture and all things that may come into play with your roof repair. Just consider that a roof in need of repair may also be a roof that is breeding mold underneath the surface! A company with comprehensive service offerings will be far better in the long run than a company that only specializes in what you need right there in the moment. Are You in Need of Passaic County Roof Repair? Finding a contractor for Passaic County roof repair doesn’t need to be stressful. If you keep the above tips in mind, it may help you sift through to find the right one more easily. Deegan Roofing may be the perfect fit for you. Not only do they offer Passaic County roof repair, but they also perform roof installation, gutter services, roof cleaning and much more. They’ve built a strong reputation for themselves over the past 25 years of serving NJ homeowners. For more information on their services, contact them today by calling 908-322-6405 or visit the website!